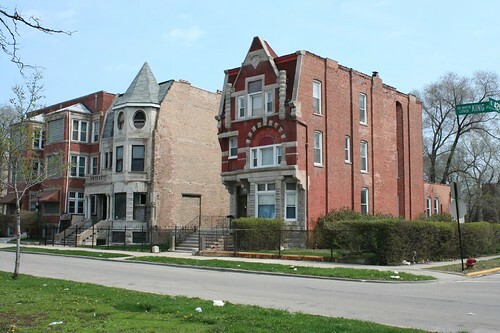 A journey through the architecture and urban landscape of Chicago – from industrial zones to Mid-Century suburbs and all points between. Last weekend I found myself in Hyde Park on a pleasant morning, with nothing to do but ride my bike back home. I took a leisurely ride up MLK (King Drive? 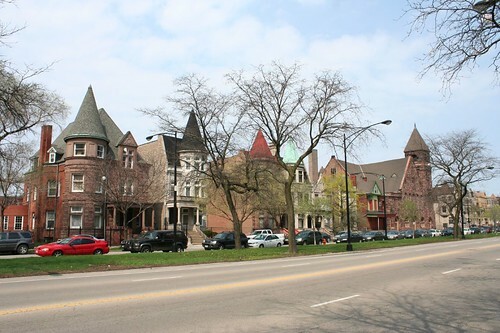 Every town has its own street honoring Dr. King, and they all have their own unique way of abbreviating the name), through the core of Bronzeville, where a multitude of historic architecture waits to impress and overwhelm. 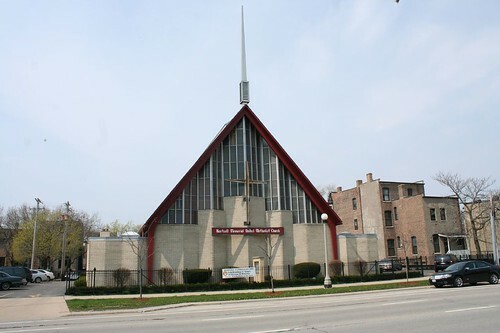 It being a Sunday morning, I stood on the sidewalk for a while and listened to Gospel music swelling from within the church at right, the Metropolitan Apostolic Community Church. 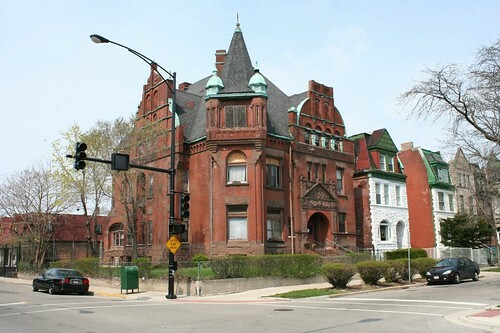 It’s a 1891 brownstone beauty in a Romanesque style, originally the 41st Street Presbyterian Church. And the hits just keep on coming. 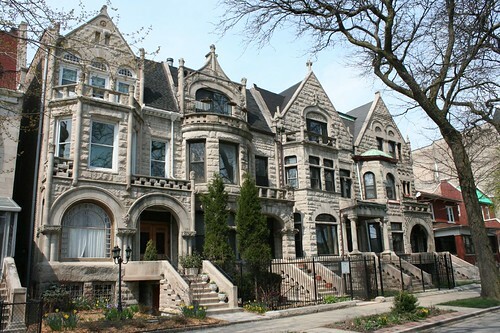 House after house and block after block speak to the jaw-dropping wealth that landed here in the 1880s and 1890s. 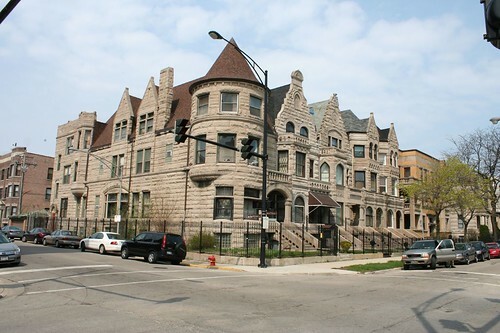 Though the best parts of the avenue are residential, there are some impressive institutional buildings as well, several converted to churches. 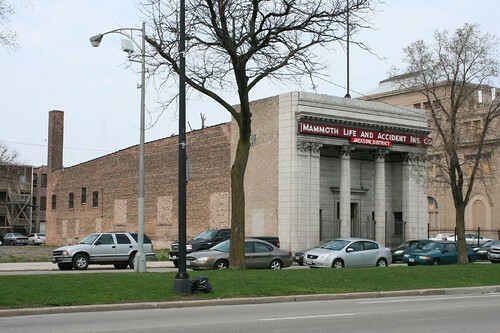 The Mammoth Life and Accident Insurance Company, a Kentucky-based firm, occupied a building sporting a neon sign that is rather at odds with the Beaux Arts facade. I have no clue if this building remains in use at all, but it doesn’t look like it. 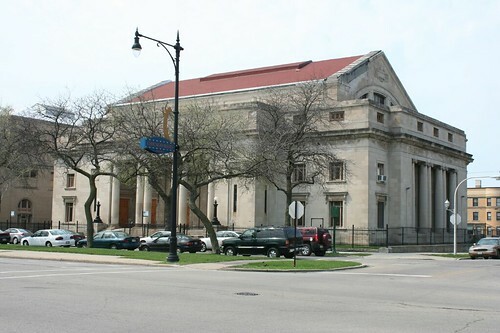 The Sinai Temple at 46th and MLK was begun in 1909 for a Jewish Reform congregation. 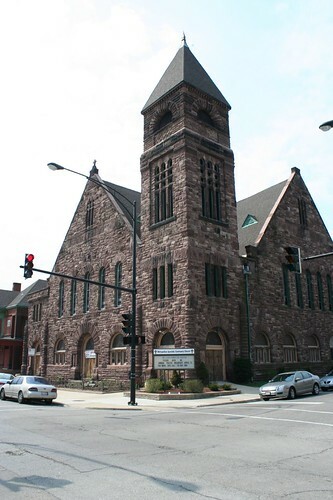 Today it houses the Mount Pisgah Missionary Baptist Church. And there are some delectable slices of Mid Century Modernism, as well. Liberty Baptist Church has been documented by Lee Bay, though he doesn’t share interior photographs. I wasn’t feeling up to venturing inside, so that remains a future mission. 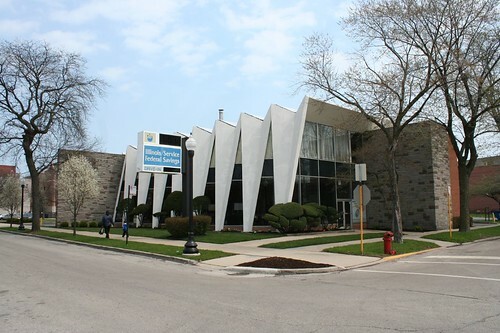 Nearby, Illinois Service Federal Savings & Loan occupies a 1960s building that presents a wild facade of folded plates to the street. 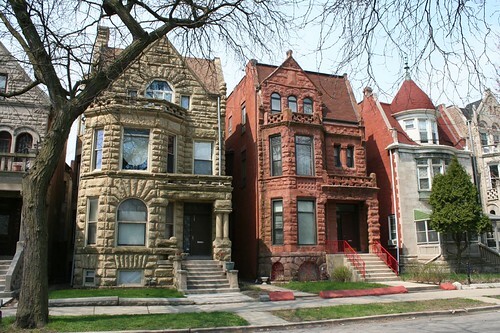 The bank has neighborhood roots dating back to the 1930s. 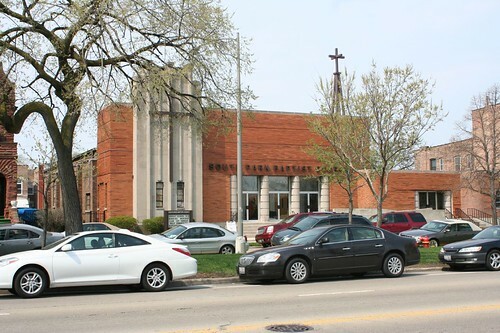 The South Park Baptist Church leans toward the Streamline Deco end of the Modernism scale. It went up in 1953, to the designs of architect Homer G. Sailor. The avenue kind of explodes into a nothing-scape north of here, thanks to a lot of big redevelopment products that have brought grassy fields and parking lots to the areas just south of downtown. 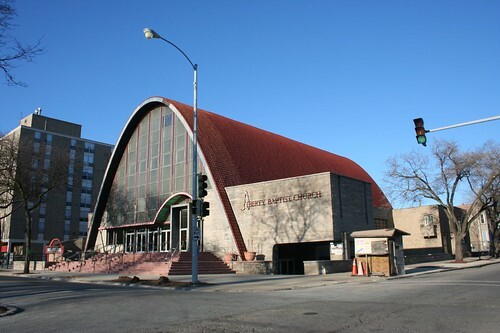 This entry was posted in Mid-Century Office and Commercial, Midcentury churches, Period Revival Styles, South City, Victorian architecture. Bookmark the permalink. 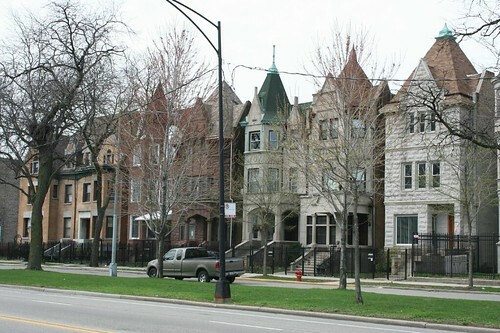 MLK is an amazing street that growin-up-northsiders (like me) unfortunately often miss until they expand their horizons a bit. Did you see the Marx Bros Chicago Marker of Distinction sign at 4512? I bought a house on MLK six months ago. The neighbors are great and it's amazing how close you can get to the lake and be on such a scenic street for a reasonable investment. Is it Lincoln Park? No, but it's been great so far.